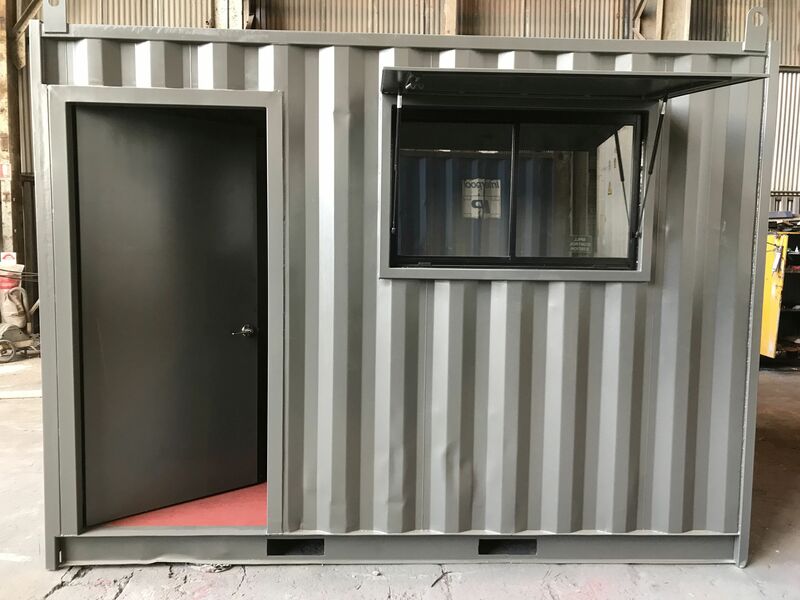 With containers being used for all sorts of functions such as pop up bars, retail outlets, storage units, offices and accommodation, a personal access door that is safe and secure as well as easy to open is usually required. 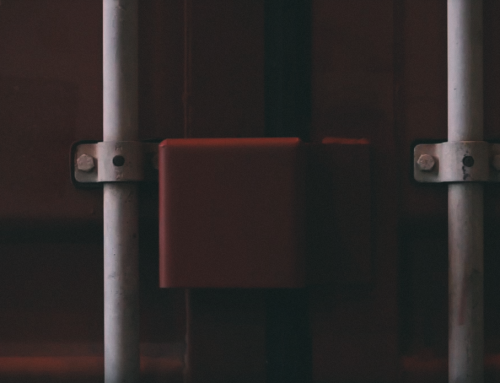 What many people don’t realise, is that you can install a door anywhere on the container whether it’s a custom door or an original door. This makes things much more convenient instead of having to open and close two large steel doors located on the end. In this post we are going to look at exactly how to go about fitting an additional door so that you can have more flexibility with your design and layout. Decide where you want the door, then measure and mark this area. Don’t forget to include space for the steel tubing. Cut the opening using an angle grinder then allow the steel to cool. Remove any sharp edges from the cutting process by using the angle grinder. Make the door frame by using three pieces of tubing. The three pieces will be for each side and the top. Square up the frame and then clamp it into place. Place the frame into the opening that you earlier created, and ensure the frame is square by levelling the header. Tack weld the sides and top of the frame so that it is secure, then use the angle grinder to remove any sharp edges left over from the welding. Apply silicon to all openings between the container shell and the door frame to ensure that it is weather proof. Use your finger to remove excess silicon and prepare a smooth finish. Now it’s time to install the door. 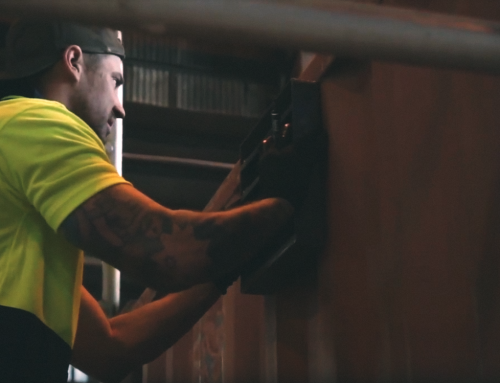 If you have a custom door, then you’ll want to follow the instructions that you have been provided to ensure that you do this correctly. If your container is painted, then it’s likely that some paint will melt off when you make your cut out with your grinder. You may want to remove the paint before doing this. To ensure the frame keeps square after you have installed it, you may want to consider tack welding a piece of rebar across the bottom or open end of the frame. 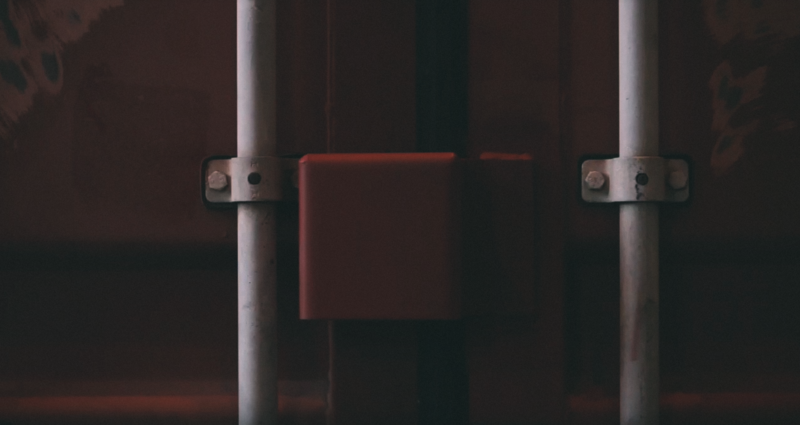 Installing a door in your container isn’t a difficult task once you know what needs to be done. Just make sure to follow the instructions carefully and ensure that you use the door sealant appropriately so that you can avoid drafts or rain getting inside when you have the door closed. Need additional input or guidance? Visit our knowledge base to learn more. 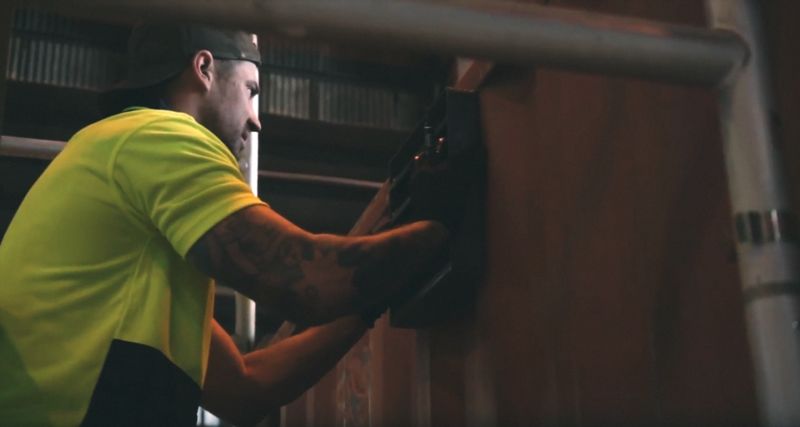 To inquire about container repairs, or inspections, call us at 03 9314 5589.